I am drawn to the remote north woods of the Boundary Waters Canoe Area Wilderness on the Minnesota/Canadian border. It is one of the most remote and wild places I have ever been. The visitor travels by canoe and brings only what they can carry in a backpack. The lakes are connected by small, discrete portages that require you to carry your canoe and gear over unpredictable terrain to the next lake. When I visit the Boundary Waters, I am reminded to live simply, to notice small details and absorb my surroundings. 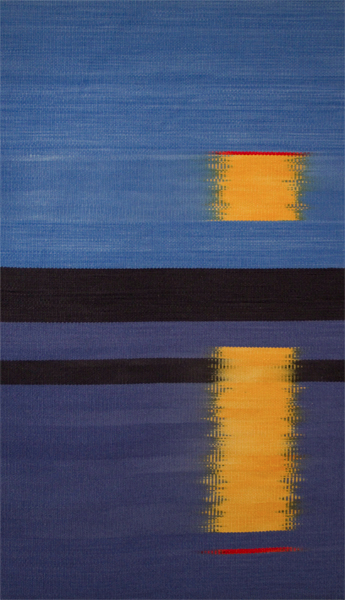 These tapestries are an abstraction of the quintessential scenes in the BWCAW. I want to be able to step into the scene and feel the route I paddle or the sunset over the lake. The simple design reminds me to travel light and live unencumbered. 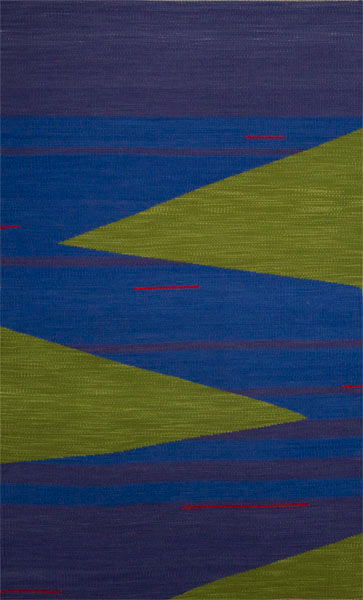 In this series, I start with a photograph and abstract the image into the rug design. I developed a color palette to express the joy and delight I feel while in the Boundary Waters.